I had a great conversation with Surur Davids from Window Mobile 24/7 in his email he says, “Your note about the profusion of resolutions in the windows mobile world is an interesting insight in itself. Who knew the market has already become so fragmented, and now with the new prominence of the smartphone platform things will become even more confusing for consumers and software developers.” I agree with this. My team will have to work very hard to make the process of installing easy and error free. Fortunately, Microsoft has provided a nice suite of products to help developers. Jim Patterson – Artist, animator, and designer. Jim will create every piece of art. He is 100% dedicated to his work and the results are fantastic. Wyatt Webb – Engineer, technology expert, graduate of MIT. Wyatt is the type of engineer who instantly grabs concepts and runs with them. Wyatt also programmed WordPop and Farkle for Pocket PC. John Winston – Sound engineer. John is the owner of Sound Audio Solutions, and has created all the sound and music for all our Palm and Pocket PC games. If you ever need sound or music for your games, applications, video, electronic toy, etc. his company is excellent. Todd Sherman – Producer, designer, and QA tester. Author of this blog. I was hoping to cover features that need to be changed so the game feels like a Windows Mobile game, but will cover that in the next blog. Over the next several months I will provide updates and some of the thought processes involved in porting our new game Word Monaco Solitaire to the Windows Mobile platform. The next question to answer was which screen resolutions to support? I can’t support them all, as a privately owned company, I need to watch to bottom line carefully. After reviewing device sales data and pulling out the old crystal balls, several predictions were made on what might be released. Thus Word Monaco Pocket PC will support 240 x 320, 480 x 640, and 240 x 240. If the Motorola Q is a huge hit, 320 x 240 might be added to the mix. The art needs to be tweaked for each one of these resolutions, which increases costs. And the game code has to be modified too as the relative input changes (more on that later). 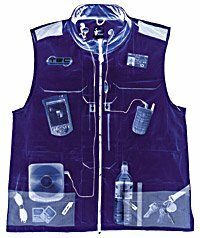 Installation becomes more complex as the installer will need to detect the device type and install the correct files and technical support issues become more varied. 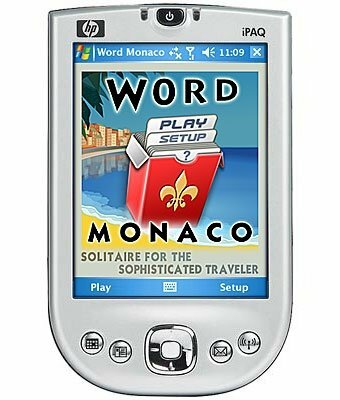 My next blog on Word Monaco will list out features that need to be changed so the game feels like a Windows Mobile game. If you are interested in signing up to be informed when Word Monaco Solitaire for Windows Mobile is click here. I love making games. My team and I released our 5th game last month, Word Monaco Solitaire. It is our 3rd word game. After creating WordPop! I realized that I really miss creating word games. I use to create language arts software for children and it was so rewarding watching a child make the reading connection. A few days ago an upgrade for Word Monaco Solitaire was released. This release was the result of urging from the Scrabble community. Scrabble players are VERY competitive. To be great players they’ve learned to make very abstract words. Many players rely on those words to get out of a jam or to get some really high scoring words. The word list used in our games has 83,000 plus entries but the majority of the words are classified as common. Words you would see in the newspaper, best selling fiction novels, and in movies. Scrabble players pointed out to me that sometimes the key for getting out of a jam in my games is often making a 2 or 3 letter word and they felt more were needed. So this last month, I gathered all the suggested words and expanded upon them. Here is the work involved. If a word is suggested I check it first against several dictionaries to make sure the word does not conflict with several rules I have for adding a word. 1. The word can’t be a name or any word that would require it to be capitalized. 2. It can’t be an abbreviation or hyphenated, for that matter the word cannot have any punctuation associated with it, such as can’t. Once it passes my test, I then need to locate all the forms of the word, such as its plural, inflection, tense. For example, if the word ‘help’ was suggested, I don’t just add the word ‘help’ but I also add ‘helps’, helped’, ‘helping’, ‘helper’ etc. Thus it is a lot of work to add each word. Adding over 300 new words to Word Monaco Solitaire was a tremendous effort but a lot of fun. Many of the words being suggested are so unusual that I get a big kick finding out the definition of the word. Plus I really like being able to change my games based on user feedback. This is the best way to improve the game. All in all, I hope all you Word Monaco Solitaire players really enjoy the new version. Try making some 2 and 3 letter combination and see if the letters stick. I think you will be surprised on some of the words you can make.